A woman who has lived in far-flung places around the world faces up to her biggest travel fear: visiting China alone. 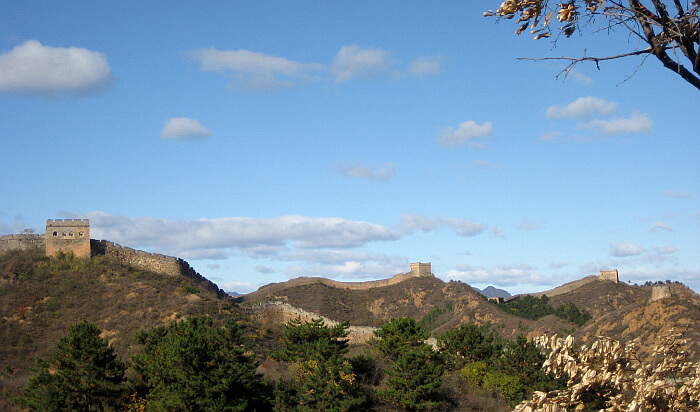 We stand on the Great Wall of China, accidental companions staring off into Mongolia, while soft autumn light falls on hard stone. Far away, a bird. Here, a drift of wind. The silence is crisp and timeless. The answer hovers. The teacher, soldier, and farmer standing next to me keep still in their own questions, too. The longer we stand in the noisy silence, the farther we see—beyond the vast plains rolling north. Like the distant clouds, our answers are coming. We wait. The year before, I had decided to kill off the fears in my life. One big fear was traveling to China. Actually, it wasn't China itself I was afraid of, but going to China alone. I'm still not entirely sure why. I'd lived and worked and traveled alone in so many other countries. Was this a Western-programmed fear? Was China the quintessential "other"? I was beginning my second year of teaching when an organization that had once granted me a fellowship announced their autumn conference in Beijing. That year's title: "The Interconnected World." I signed up. Admittedly, the conference made for a relatively soft landing, but I planned to go early and stay after, being sure to have time alone to slay my fear. The first night in China was horrid. I'd read about windowless rooms in dank buildings, so I made sure to reserve a room with a window. Turned out, it opened onto a hallway, whose stale air wasn't much better than the mildewy particles in my room, which was damp from the leaking ceiling. I slept on the side of the bed not directly beneath the bulging, water-soaked panels above me, which were dangerously close to the light fixture. The next morning, trying to clear my head of stuffed sinuses and stereotypes, I checked out of the hotel and headed through the cement canyons of the modern city to find the hutongs. These are the ancient alleyways of pre-gentrified Beijing. 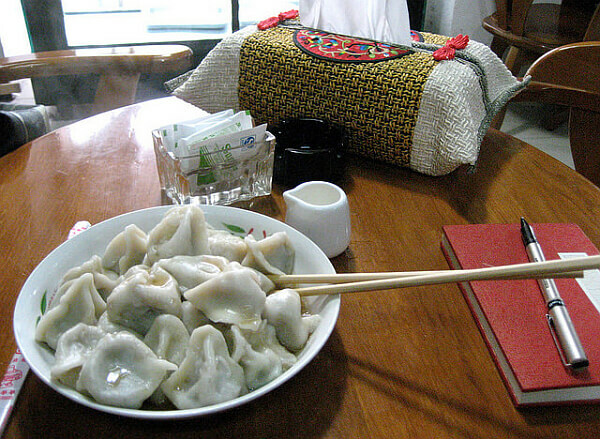 Here, you can still find greens drying on doorsteps that will later fill dumplings steamed in the barrel at the corner. While you're eating a bao, you can watch men repair a bicycle beneath a line of underwear drying on wire hangers hung in a window at waist level. 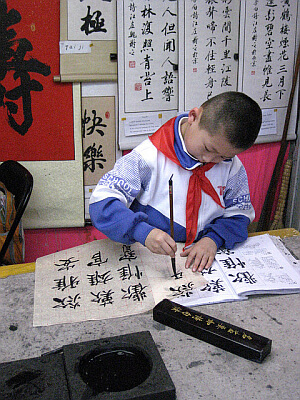 You can see a young boy practice calligraphy in his father's stationary shop—the size of a North American walk-in closet. You can sip tea steeped from a tight ball of green that blossoms into a lotus flower in a glass cup of boiling water. And then you can use the communal toilets, which make you reconsider having more tea. You can smile at the tiny woman in a Mao-era black smock who looks at your tall, foreign self and breaks out into laughter while pointing at you with a toothless grin. China. And there was nothing to be afraid of. I spent most of my time in the warren of hutongs but also zigzagged dizzily across the past of Tiananmen Square and the foreverness of the Forbidden City, stopping at just about every food vendor along the way. 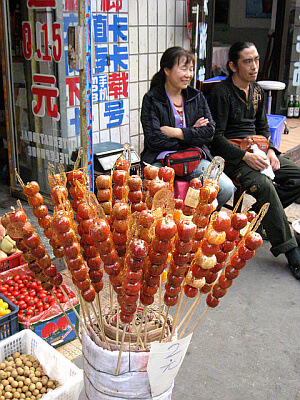 One day, as I watched a woman thread tiny apples on a skewer and then dip them in caramel, I held out my yuan and smiled. She smiled back. Neither of us said a word. As I walked away, licking caramel from my fingers, I wondered if part of my fear of this country had been the language barrier—on an alphabetical level. If you're in Italy and don't speak Italian, you can at least read the street signs. If you're in China and don't speak Mandarin… Well, I couldn't distinguish the blocks of imagist calligraphy, let alone pronounce them. And yet I'd managed a most basic transaction—purchasing food—without a hitch. When the apples were gone, and my fingers were sticking together, I decided to take a taxi back to my new hotel near the end of a hutong, where my room had real windows. I'd walked for hours, and I'd heard that even a 20-minute taxi ride wasn't much more than two US dollars. I found a taxi easily enough. The driver waved me into the passenger seat and asked me something. In Chinese. I gave my destination. In English. We both looked at each other, realizing we had no linguistic overlap. This time, there were no bright red apples I could point to. My hotel suddenly became the most abstract idea in the world. I thought I'd been smart: before leaving home, I'd printed out a sheet of Cantonese characters with the basics: Hotel. Beer. Toilet. I'd remembered to put it in my purse that day. But I'd forgotten to take the business card from my hotel…with an actual address. Copyright (C) Perceptive Travel 2016. All rights reserved.